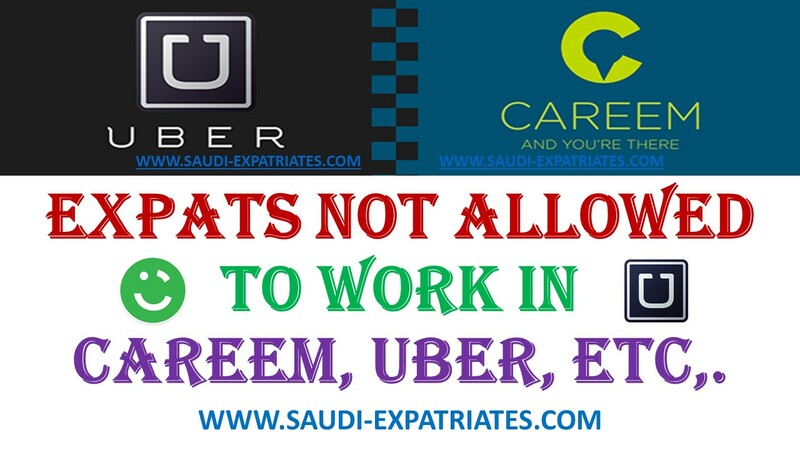 Ministry Of Transport in Saudi Arabia recently ruled that, Expatriates are not allowed to work in Careem and Uber with their private cars, Only Saudi citizens can use their private cars for this cab service. However Expatriates who are employees with licensed taxi companies can work for Careem and Uber. - Expats will penalize with SR 10,000/-, For repeating the fine will be SR 25,000/ with one month jail term. For a third violation the penalty will be SR 50,000 and a jail upto 6 months and deportation. - For third time violation penalty will be SR 100,000 and ban for 5 years from recruiting including 1 year jail for employer. - Private cab or taxi service companies like Careem and Uber apps in the Kingdom of Saudi Arabia must connect with Wassil portal and such companies and individual should be certified.